The Acro front brake system is designed to be lightweight and effective. 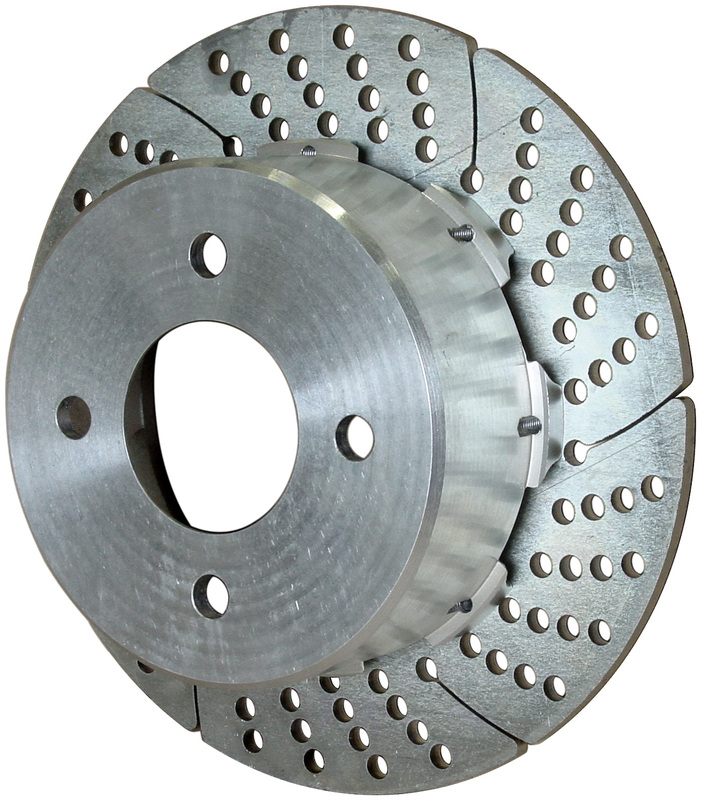 The kit includes a hub, mounting plate for a 1⁄4" thick rotor that is 9.8" diameter, and caliper mounting plate. 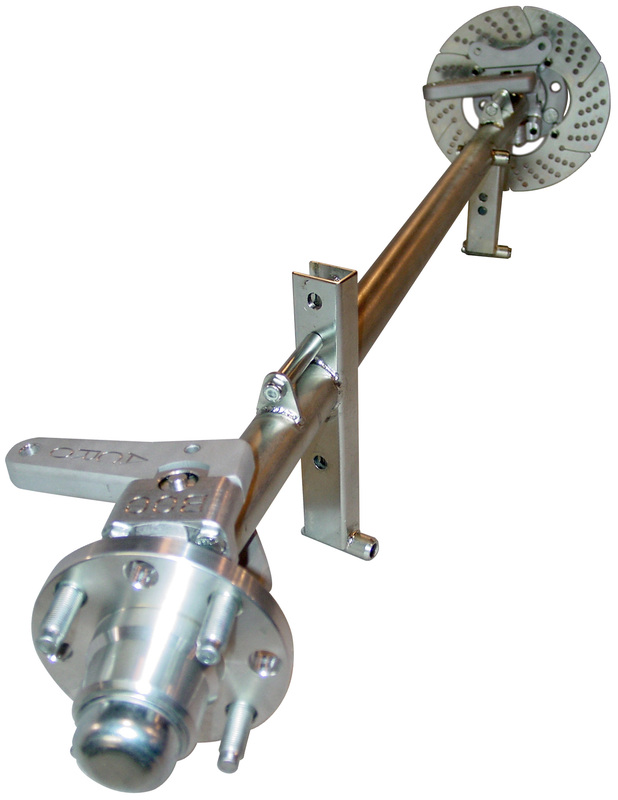 It is designed to mount on the spindle we sell separately. These are available in 4-bolt and 6-bolt patterns. 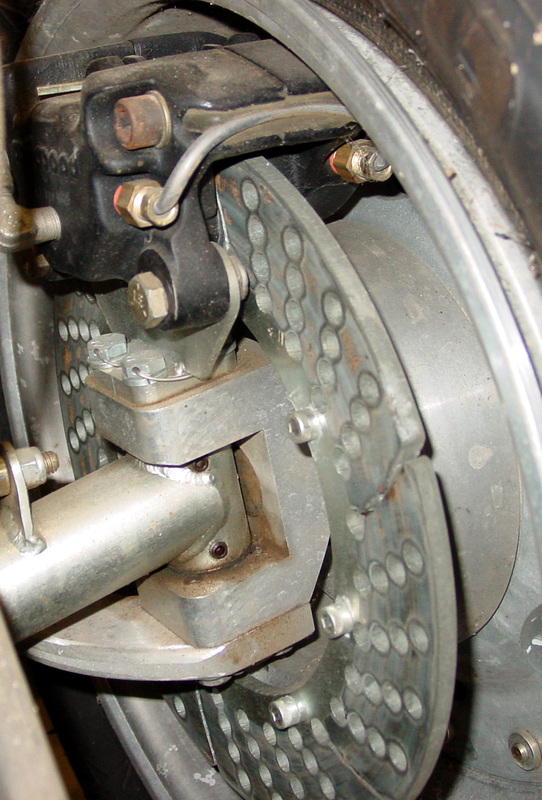 Single piston calipers. 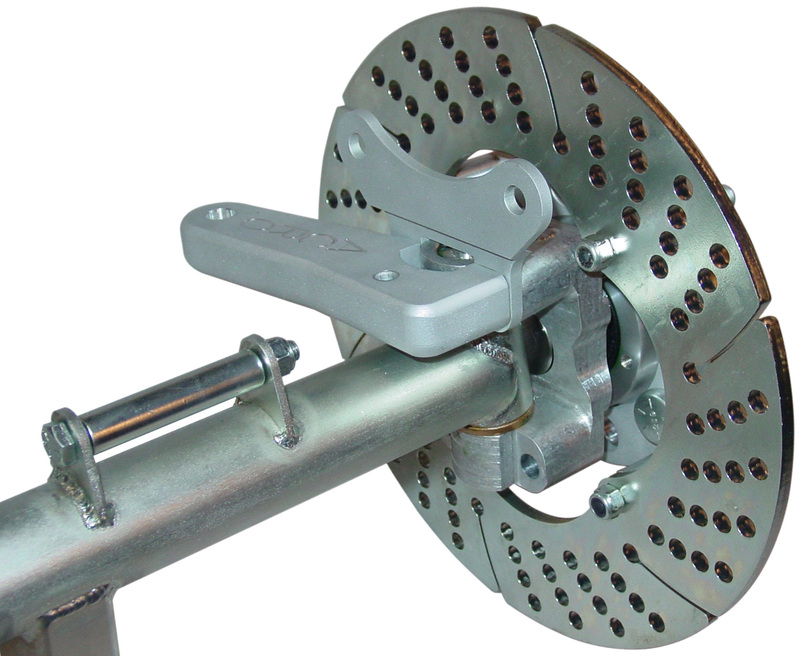 A hat-style brake system is also available and includes an aluminum hat, 10" diameter rotor, and caliper mount that bolts to the top of the spindle (specify type of spindle). 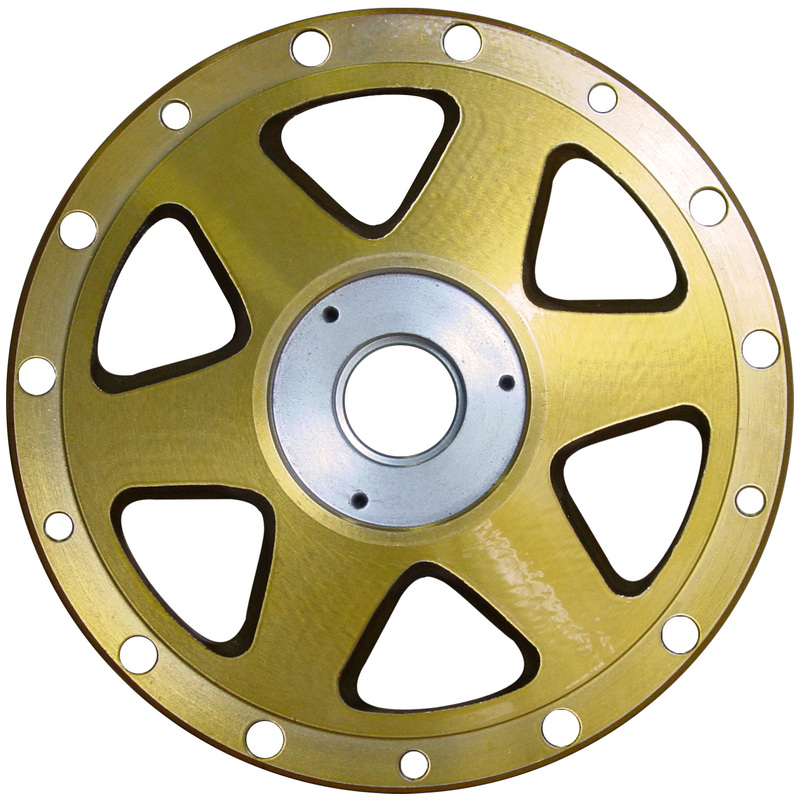 These are available in 4-bolt and 6-bolt patterns. Single piston calipers. We sell all the parts you need for your front axle and suspension: Axles, spindles, hubs, steering arms, torsion bar arms, tie rods, and steering rods. 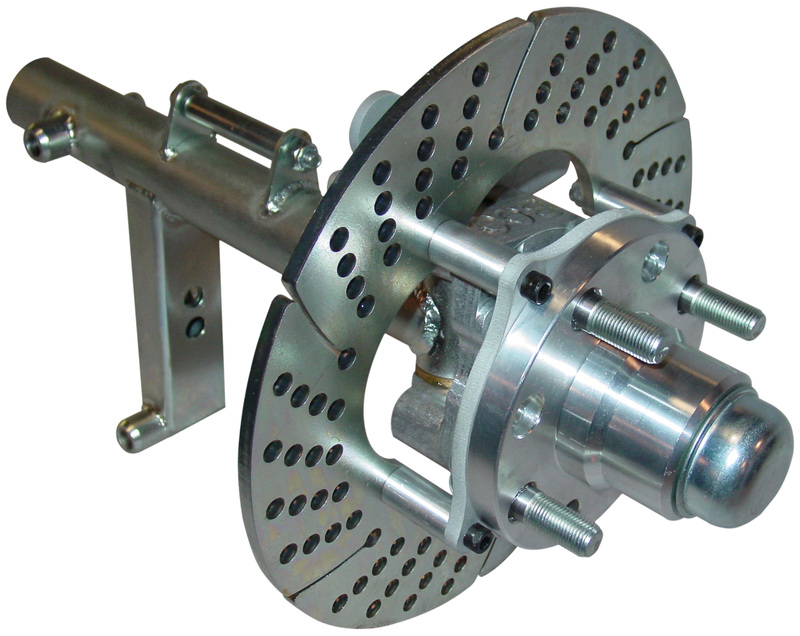 Spindles, hubs, and steering arms are stocked items on our shelves. 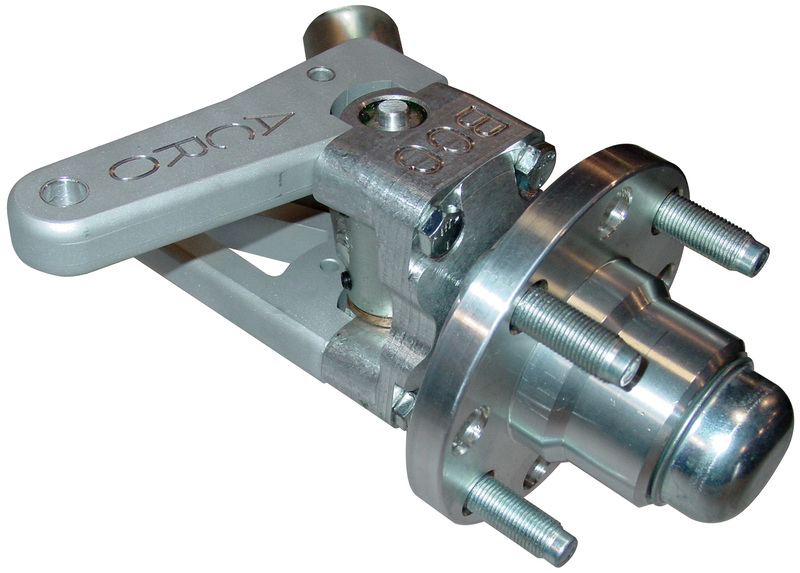 Axles are made to order, so give us the size and design you need and we will special-make your axle. We can also work with you if you are unsure of the best design for your race car. Torsion bars are also made to order due to the great variety of styles.